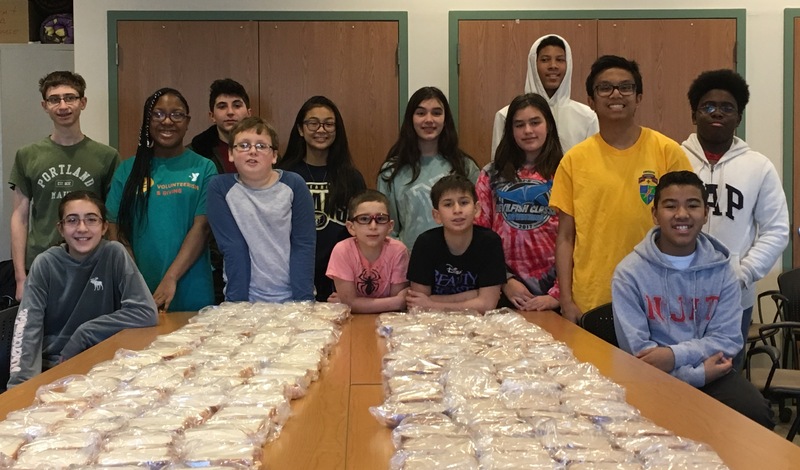 Union County, NJ — Student members of Union County 4-H Archery Club I and Club II spent the day on Sunday, February 3 at the St. Joseph Social Service Center in Elizabeth, where they made 230 sandwiches for people in need. Union County 4-H clubs are organized around contemporary topics like Anime, Lego Robotics, S.T.E.M. and Fashion Design, as well as more traditional favorites including horticulture, cooking and archery. Students can also join a Variety Club and explore topics of their own creation. For older students, 4-H offers membership in the Community Service Club, which plans and conducts community service programs throughout Union County. Union County 4-H is run by the Rutgers Cooperative Extension of Union County and supported in part by the Freeholder Board with offices at the County complex in Westfield, at 300 North Avenue East. It is part of the U.S. Department of Agriculture’s national 4-H youth development program. 4-H clubs first began forming in 1902. Today they make up the largest youth program in the country, with nearly 6 million student participants and 540,000 adult volunteers nationwide. According to a recent national study, 4-H participants are more likely to get better grades in school, seek out science classes, see themselves going to college, avoid risky behavior, and make positive contributions to their communities. For more information about joining a Union County 4-H club or volunteering as an adult club leader, contact Union County 4-H Agent James Nichnadowicz at jnichnadowicz@ucnj.org or 908-654-9854, or visit online at ucnj.org/rce.